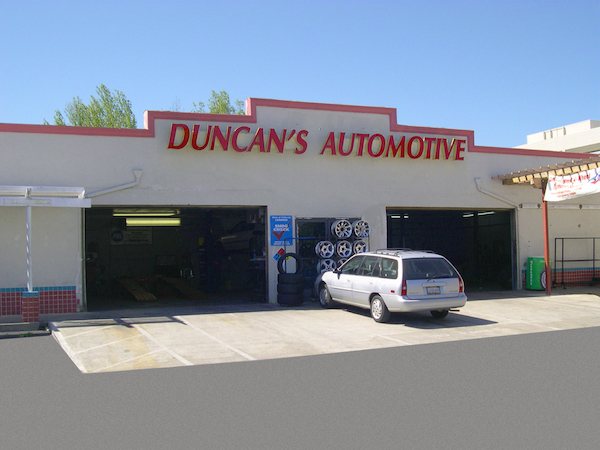 For more than twenty years, Duncan's Automotive has provided quality automotive service. Our ASE certified technicians are trained in the latest technologies and use state of the art diagnostic tools to keep our customers' cars and light trucks in peak running condition. Our three locations provide you the quality, convenient auto repair Citrus Heights, Lincoln and Roseville CA have trusted for over twenty years. Don't let your next smog inspection become a nightmare. Our Citrus Heights, Lincoln, and Roseville auto shops are all California Certified Smog Stations and have the experience to solve the toughest emissions problems. All of our locations are California Bureau of Automotive Repair Certified STAR Stations (formerly Test-Only Stations) licenced to test, repair, and certify vehicles needing to go to a STAR station. This means one-stop shopping convenience for you! For more information about the Smog Check program, visit the California Bureau of Automotive Repair's Smog Check Program page. "They treat me like family! I really trust these guys. I just had another great experience with these wonderful people. They don't talk down to you and make it clear what is needed and what is not. I have recommended all my friends to them and they have never failed to amaze! Keep up the great work guys! And thank you for keeping my family's cars going!" Today's cars are made up of a number of complex systems. Our new library of informative videos from Napa will help you learn more about how your car works and help you make informed decisions when it comes time to service or repair your car. We are proud to be a AAA Approved Auto Repair Network provider. This rigorous certification assures our facilities meet AAA's tough standards for professional auto repair service. In the past, a tune-up was a big part of regular vehicle maintenance, but that has changed for today's vehicles. With the price of gas these days, every drop saved is money in your pocket. Here's our list of tips that will pay off right away.